Senior Advocate of Nigeria (SAN), Femi Falana, a human rights lawyer, has asked President Buhari not to allocate oil blocs to “a select group of private individuals” while leaving other Nigerians poor. In a letter dated March 20 and addressed to Buhari, Falana said his request was based on a decision by the federal government to revoke some oil blocs and marginal fields allocated to some individuals and companies during past administrations. Falana said it is commendable that the revocation would take place, but it is “unconstitutional” for Buhari to now allocate the same oil blocs to only few people close to him. “While commending Your Excellency for the courageous decision we urge the Federal government to desist from renewing the remaining licences of other oil bloc owners in the country. “Having acquired the ‘entire property in and control or all minerals, mineral oils and natural gas in, under or upon any land in Nigeria or in, under or upon the territorial waters’ and vested same in the Federal Government on behalf of the people of Nigeria pursuant to section 44(3) of the Constitution it is inequitable, illegal and unconstitutional to allocate the nation’s oil blocs to a few individuals and corporate bodies including multinational corporations. 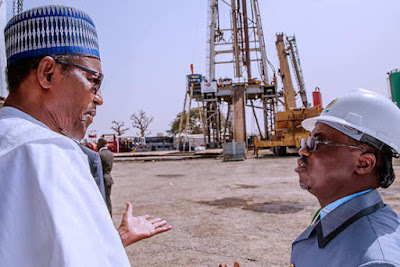 “Your Excellency may no doubt be aware that majority of the owners of the oil blocs belonging to the Nigerian people usually sub-lease them to offshore companies as they lack the fund and the technical expertise to develop the oil and gas industry. “By merely collecting huge rents the oil bloc owners become stupendously rich while the federal, state and local governments depend on loans and bailout to pay salaries and carry out basic infrastructural development of the country. “Thus, by allocating oil blocs to a few individuals and corporate bodies the Federal Government has violated Section 16(2)(c) of the Constitution which provides that ‘the economic system is not operated in such a manner as to permit the concentration of wealth or the means of production and exchange in the hands of few individuals or of a group’. “In view of the foregoing, we urge Your Excellency to restrict the allocation of oil blocs including marginal fields to the Federal Government and the governments of the 36 states of the Federation. 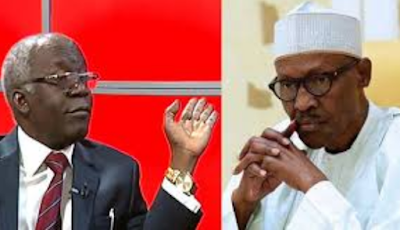 Falana said if his request is not considered by the president, he will through the court, challenge validity of the law guiding allocation of oil blocs and other resources in Nigeria.